Don't you just love putting on a great pair of jeans and a tee!!!! 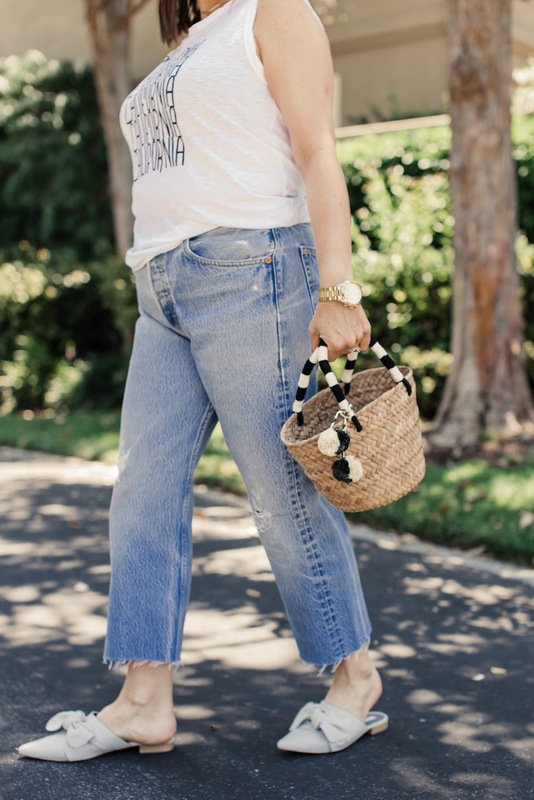 And how cute is this California tee by Velvet by Graham and Spencer. It is the perfect tee for me!! 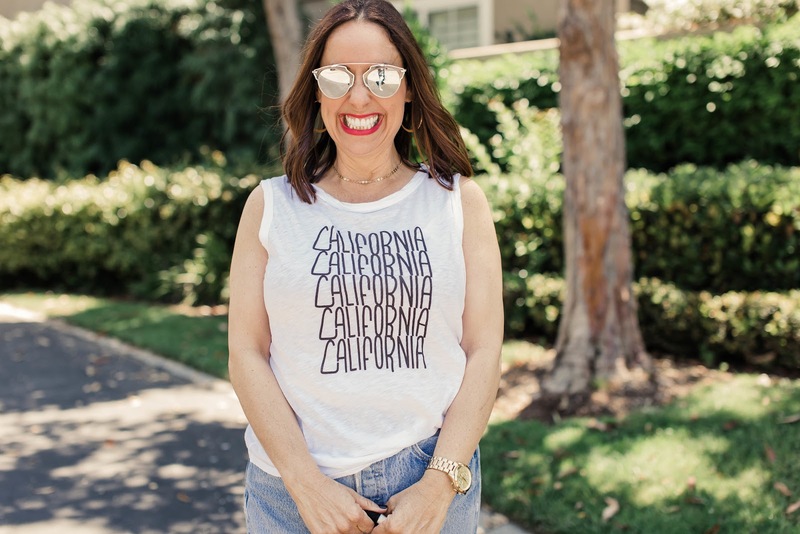 I am and will always be a California girl. 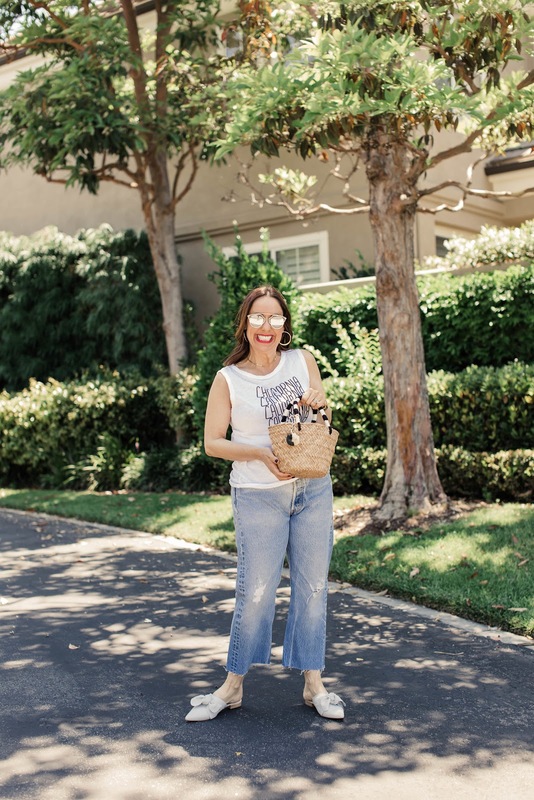 I paired this cute tee with these fun vintage Levi's from Style Society Boutique. Isn't the frayed hem so cute? 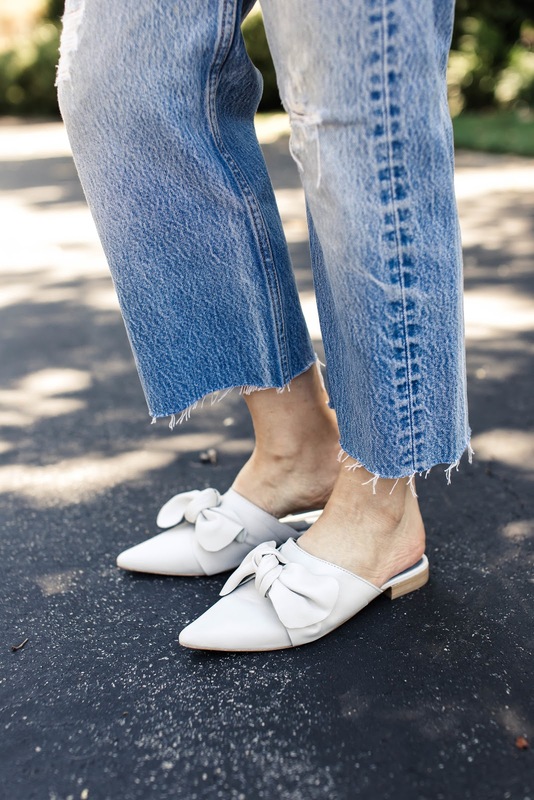 And let's talk about these flats from Topshop. I love love this bow. It is so feminine. 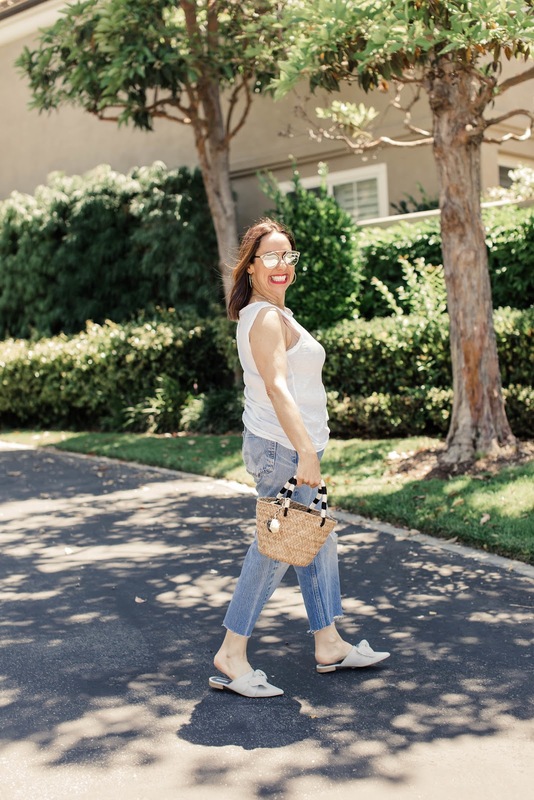 I completed the look with this adorable straw bag from one of my fave boutiques, Amour Vert. It is the perfect little bag for summer. Even though these looks are not part of the Nordstrom sale, it is now open to the public. 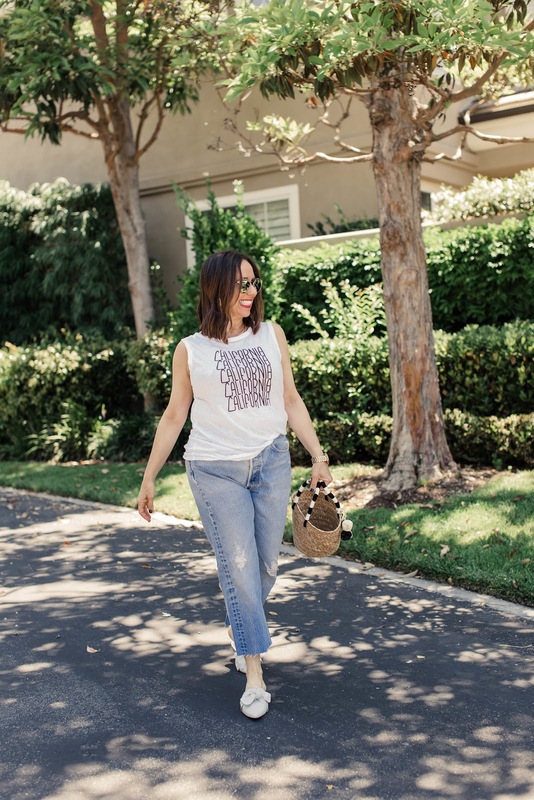 I've linked some of my favorite tees, jeans, flats and bags from the sale. You can shop these look by clicking on the links above. Thanks to Gabi Wells for photos and Happy Reading!!! !